I received my House & Home magazine for July yesterday, and of course tore through it top to bottom. 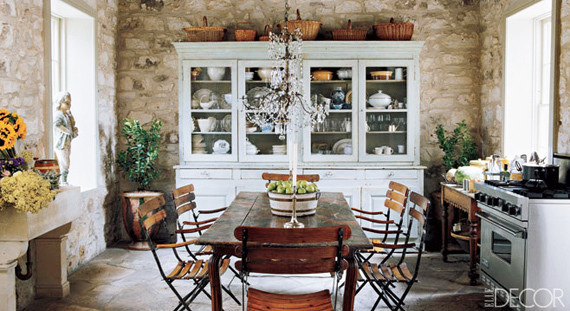 I love to read through the articles and came across a decorator whose worked I've admired for a while. She is Montreal based, Heidi Smith. Her cottage is featured in the magazine and it's lovely. This cottage is to die for. The stone work, the reclaimed (or maybe original?) flooring and that countertop. I love everything about it. 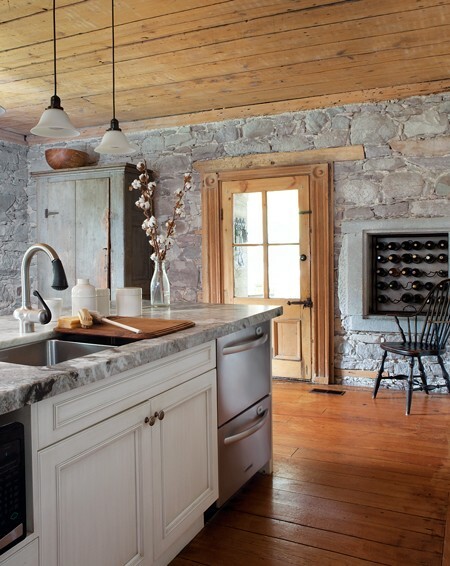 Below are a few more inspirational photos of stone interiors that are authentic. The idea of having a kitchen table centered in a kitchen as opposed to an island also makes for wonderful entertaining and family life.